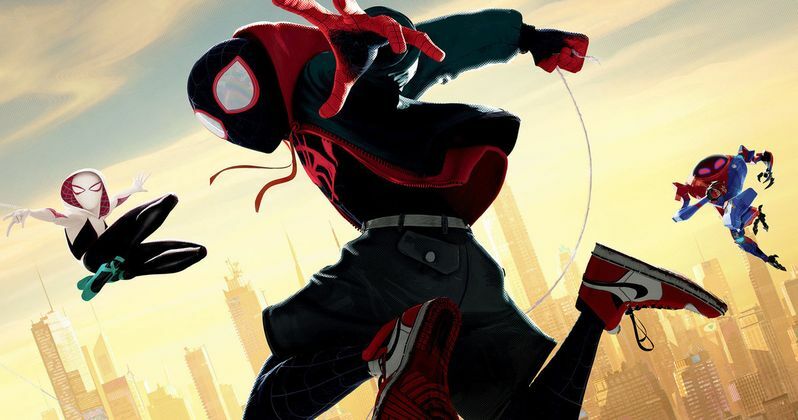 Spider-Man: Into the Spider-Verse now holds the record for the highest grossing December debut of an animated movie. The comic book adventure was able to earn $35.4 million over the weekend, which easily gave it the number one spot. The Spider-Man multiverse story has been getting great reviews from fans and critics and is another superhero hit for Sony after this year's incredible success of Venom. Clint Eastwood's The Mule was able to take in $17.2 million, earning the second spot at this weekend's box office. The impressive opening is one of Eastwood's best and is also the first movie that he has been featured in since 2012's Trouble with the Curve. The Grinch continues to hold strong, falling to number three this week. The animated holiday movie earned $11.5 million and has made $372.6 million globally since its debut 6 weeks ago. Coming in at number four at the box office this weekend is Ralph Breaks the Internet: Wreck-It Ralph 2, which took in $9.5 million and falls from the number one position from last weekend and the weekend before that. Number five went to the debut of Peter Jackson's Mortal Engines. The movie only brought in $7.5 million and reportedly cost $100 million to make. Worldwide, the movie has only made $42.3 million and is struggling internationally to keep up with Aquaman. Creed 2 brought in $5.3 million this weekend, which was enough to take the number six spot. The sequel has been a strong contender at the box office since its release four weeks ago. It is believed that the movie will mark the end of Sylvester Stallone's portrayal of Rocky Balboa after he announced his retirement from the franchise. Bohemian Rhapsody held strong over the weekend, earning $4.1 million and taking number seven. The Queen biopic is now the highest grossing music film in history, having earned $635.9 million worldwide. Mark Wahlberg's Instant Family finally fell from the number six position to number eight this weekend after earning $3.7 million. Fantastic Beasts: The Crimes of Grindelwald came close to getting the number eight spot, but earned $3.6 million and took the number nine position instead. The Academy Awards hyped Green Book finished off the top ten after earning $2.7 million. Once Upon a Deadpool came in at number eleven after debuting this past week with an impressive $2.6 million over the weekend, which is pretty big considering that it's basically a re-release of Deadpool 2. You can check out the rest of this weekend's numbers over at Box Office Mojo.